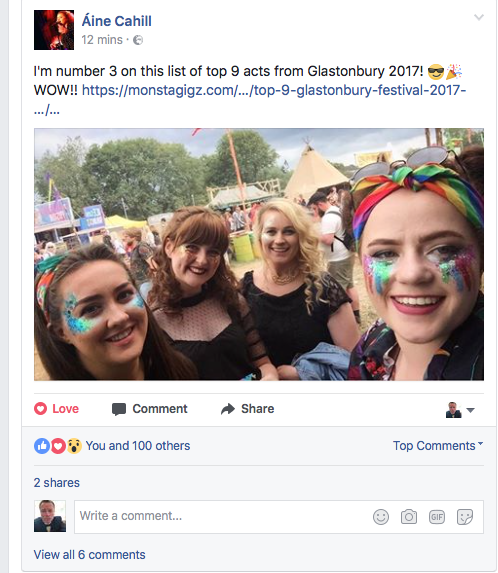 We shortlisted Áine Cahill’s Glastonbury performances as our third highlight of this year’s festival and she shared her joy on Facebook in June. Look out for her in 2018. We weren’t big fans of Ms Hart as the baddie in this musical but Strictly judge Revel-Horwood was a revelation in September. We’re seeing him in panto in Southampton before the year is out (train strike permitting). 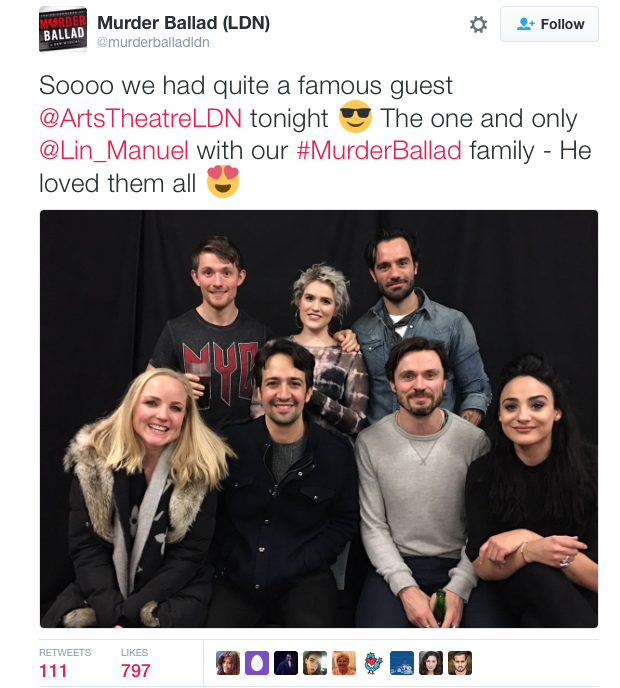 That moment when you bump into the creator of the world’s biggest musical – in the gents in a tiny West End venue. In, whisper it!, 2016. Thank you to everyone who has taken the time to read and get in touch in 2017. May your 2018 be all you wish for it.